Team One unites knowledge and experience gained from success in both the sporting and business worlds. Organizations have now been restructured so many times, they are suffering “restructure fatigue ”. This results in cynicism, weariness and active or passive resistance to change. Leaders need to ensure that they spend as much focus on winning the hearts and minds of the current team as they do on the new structure. Clients consistently report that properly implemented, this programme results in team member buy-in to the change process, improved morale and increased performance. This training develops coaching skills in people whose roles involve leadership of teams. What do top coaches do to bring out the best performance in their athletes? Gleaning insights from the high performance world of sport where TeamOne has been so influential, leaders are assisted to understand what motivates, inspires and brings out the best performance in their teams. Conversely, leaders can analyse their own performance for attitudes, words or behaviour that may unwittingly be demotivating their team, and then do something about it. Your customised programme builds and practices practical skills that can assist leaders to coach the best performance in their teams. The safety culture of an organisation is the product of individual and group values, attitudes, perceptions, competencies, and patterns of behaviour that determine the commitment to, and the style and proficiency of, an organisation’s health and safety management. Team One excels at bringing all these competencies into alignment through customised solutions. Proven training solutions with achievable and documented results. Learning and development solutions for your organisation. I’m the CEO of Team One International. We are a group of people born with a lifelong mission to help every individual we meet be the very best they can be. We call it Unleashing Human Potential. We work where individuals have the best chance to shine; in business and on the sports field. Here we help to create a culture which encourages high performance and allows everyone to fulfil their potential. I suffer from a strong case of Pollyanna syndrome, always wanting to see the best in the world. I will fiercely defend the underdog and live by the mantra ‘where there’s a will there’s a way’. I am constantly pushing myself to see how far I can go……and the good news is I haven’t found the boundaries of my abilities yet! The best is yet to come!!! As a professional rugby league player I was very lucky to have experienced some of the best sports psychologists and motivators that money could buy. 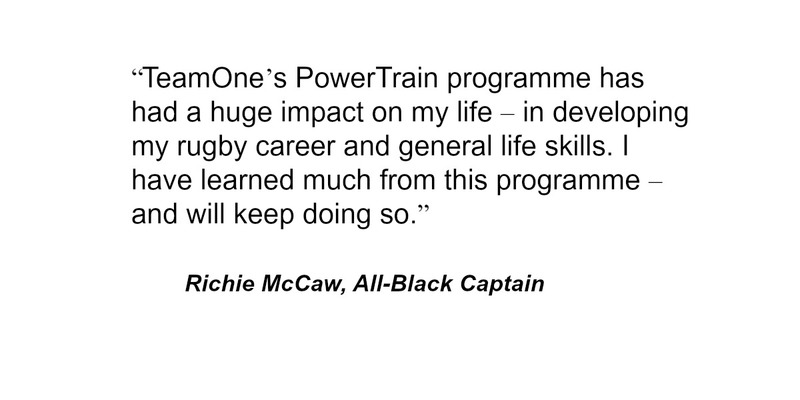 Once I retired and returned home I was asked to attend a Team One training programme which was being delivered to one of their clients by a very good friend of mine Eric Rush, an ex All Black. 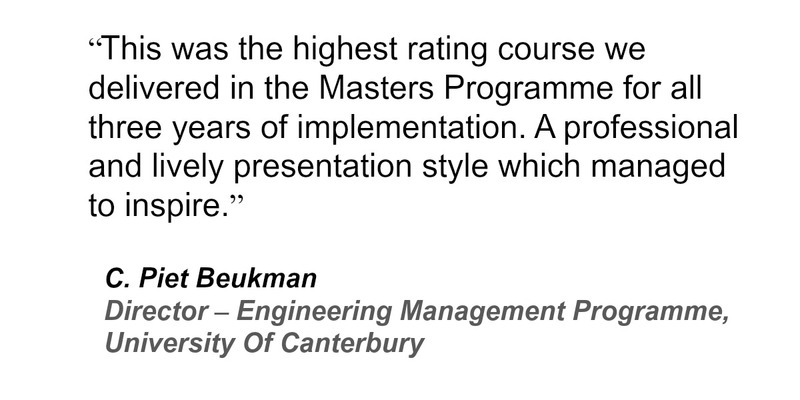 During that programme I was introduced to the concepts of the Powertrain. When I saw these concepts a little light went on in my brain and I thought to myself what an awesome set of tools! Everyone needs to see these tools as they could be applied to all areas of life – Sport, Business and create a Work life Balance. Sarah comes to Team One with a background in numbers as both an Accountant and a Derivatives Trader. 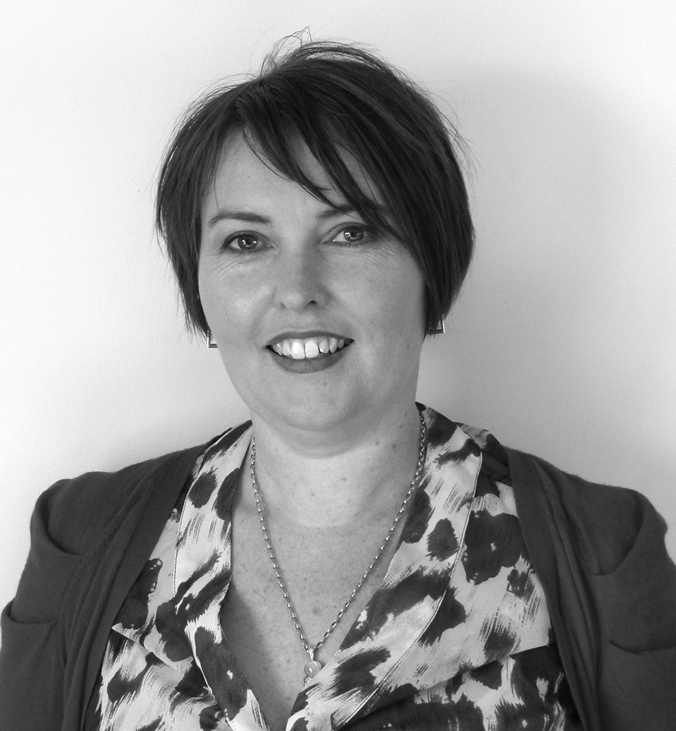 A specialist in change and innovation, Sarah is always looking for new innovations in Management and Business. 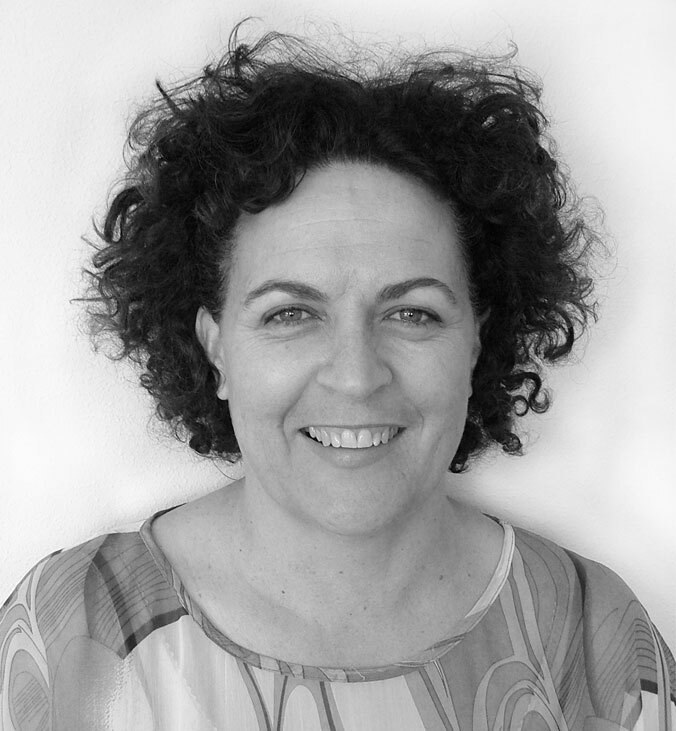 She utilises this knowledge for Team One, developing new products, services and markets and providing customised solutions for our clients. 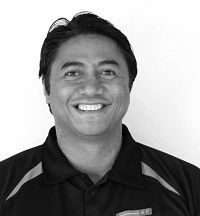 A Optimum Performance Zone© guru, Tawera had a celebrated career as a professional rugby league player at International and domestic levels. 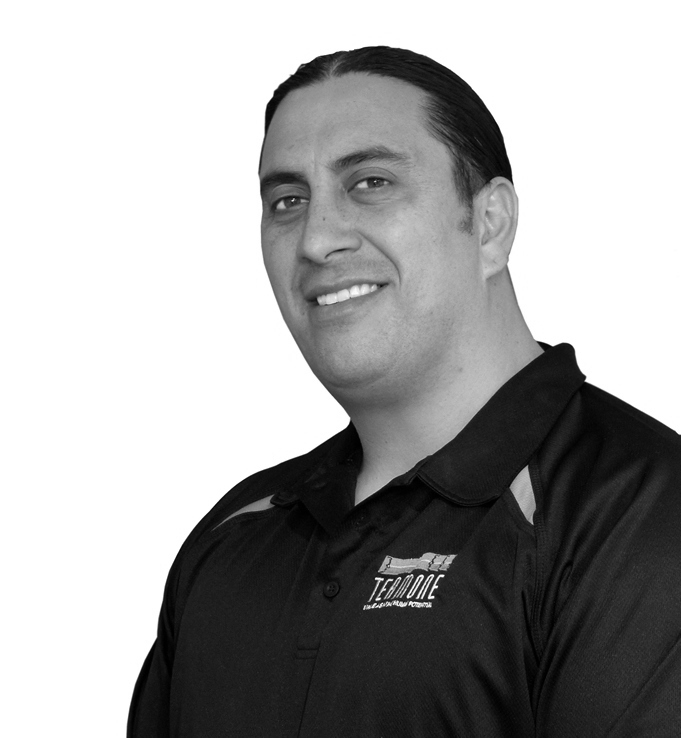 Now a known celebrity in New Zealand for giving back to everyone, he connects with he is a walking billboard for the power to change processes that are Team One. MBE, New Zealand international and Sydney Eastern Suburds legend in rugby league and then a successful business career afterwards. Hugh is one of our established high performance coaches and thrives on the scientific aspect of human performance tools to achieve optimum results. 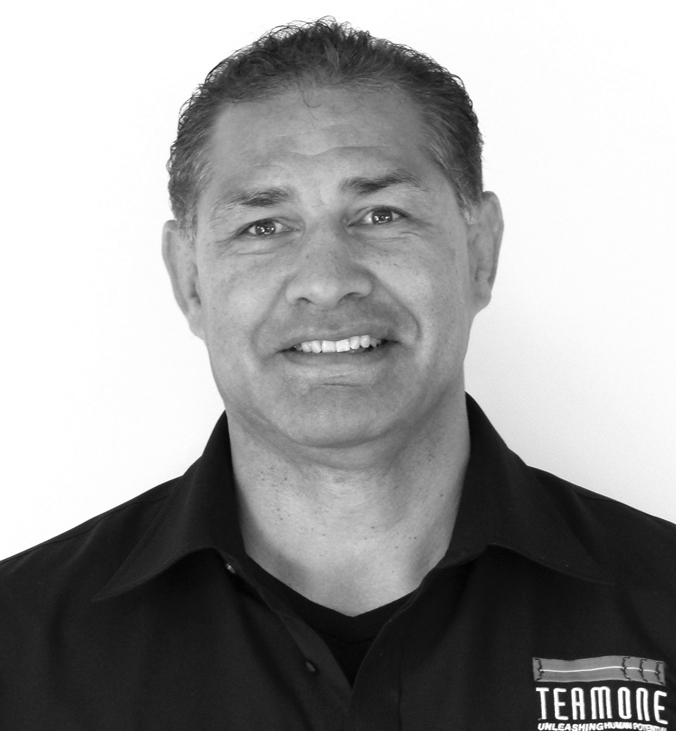 A humanitarian who has immersed himself into the Māori traditions and high performance that are centuries old. This he blends seamlessly with his extensive Government business skills and his own unique humour and empathy. One of the most experienced members of Team One. An accounting software training mega star and business training advocate. She has turned asking the hard questions into an art form and brings the best out of people with her unique style in the dark arts of high performance. For kicks she is also a professional singer and songwriter. 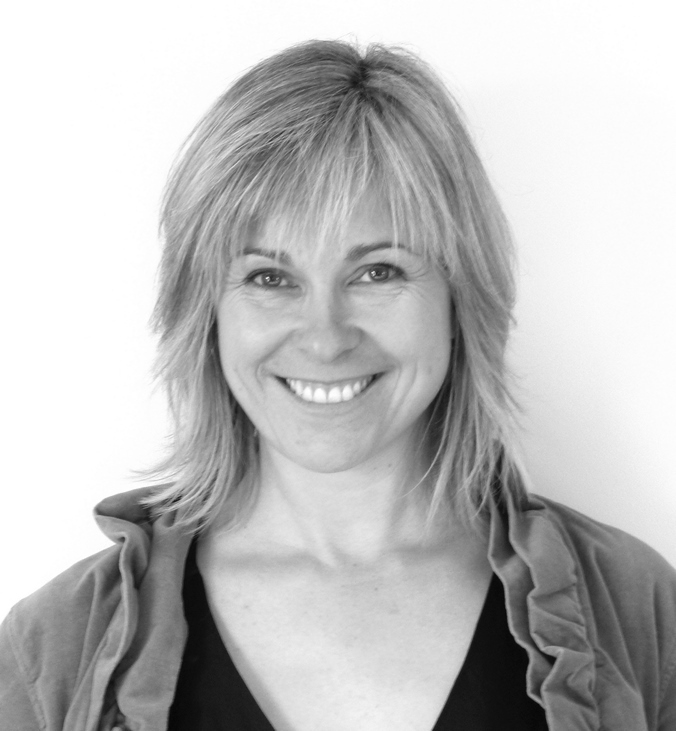 Lizzie loves to create and tell stories be it through broadcasting, writing or managing comms. At Team One she takes care of all of our communication needs including managing our social media, newsletters and website. With a background in recruitment, sales and administration she’s a 50/50 split of practical (feet on the ground) and creative (head in the clouds). Like WIFI our values are invisible to the naked eye but they define the way we behave and operate. They connect us all (just like WIFI). When used correctly, values (and WIFI) will improve efficiences and outcomes. We look after each other and ourselves to ensure we are mentally, physically and spiritually fit. We always do the right thing and stand up for what we believe in. We nurture our families – both at work and at home. We constantly strive to improve our products and services, always looking for new and exciting ways to deliver a quality outcome.